Ackland and Sander Consulting is experienced in fire investigations and litigation support testimony related to commercial kitchen systems. Law firms and insurance companies throughout North America use the expertise of Ackland and Sander Consulting to support and win their cases. Put the team of Ackland and Sander Consulting to work for you. Investigating a commercial kitchen fire offers many complex and unique challenges. 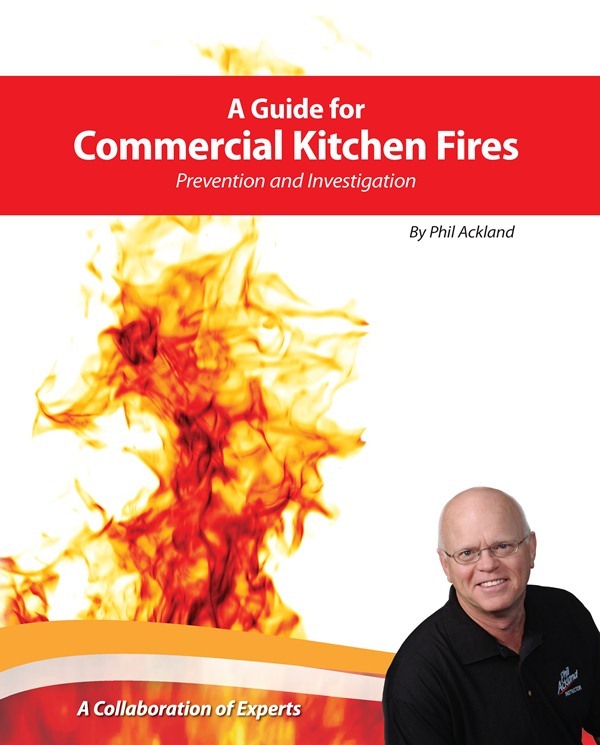 Phil Ackland’s team of licensed investigators understand the intricacies of commercial kitchen systems and are specially trained to investigate fires in these settings.Put the team of Ackland and Sander Consulting to work for you. Every year, hundreds of millions of dollars are lost to commercial kitchen fires, many of which could have been prevented. Properly designed, constructed and maintained kitchen systems can handle common flare-ups, but when improperly designed, constructed or maintained, these systems pose a serious fire danger. Ackland and Sander Consulting have developed a number of regional CE (Continuing Education) courses for building inspectors, code officials, fire investigators, health inspectors and others. When applied, the knowledge gained at these courses prevents fires. Most importantly it covers the major flaws and mistakes that lead to fires in these systems. Phil Ackland’s instructors are recognized leaders in the industry. Course offerings are designed for: Fire prevention officers, Building inspectors, Mechanical engineers, Fire investigators, Attorneys, and insurance agents.